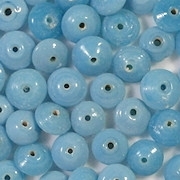 Size/shape: 4mm (thick) x 7mm (wide) saucer-shaped beads (rondelles) with the hole through the center. 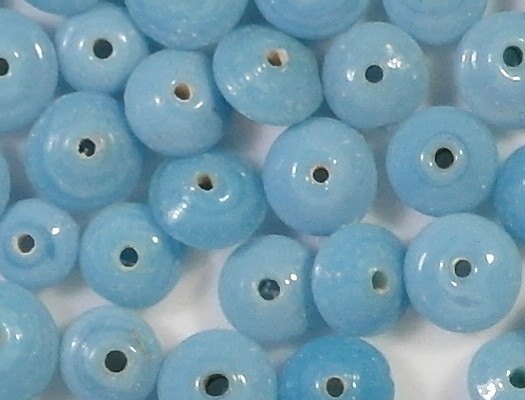 These appear to be hand-made beads, and the size varies considerably from about 5.5mm wide to 8mm wide. The thickness also varies. Hole size: 1mm to 1.5mm (estimated). 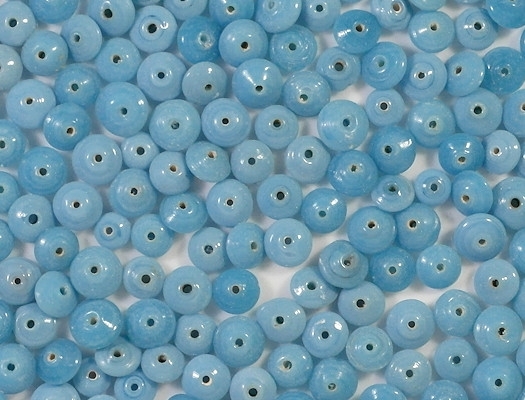 Defects: As I stated above, the beads vary in size, although most of them are close to the dimensions given above. 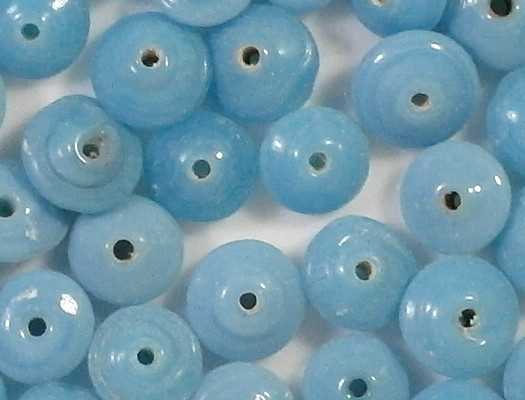 In addition, the shape of the beads varies somewhat from one to the next. A small number of beads have extra glass around one or both holes, or have a pit on the surface, or have dirt in the glass, or have some red in them. Because of the defects I've given the beads a low price. 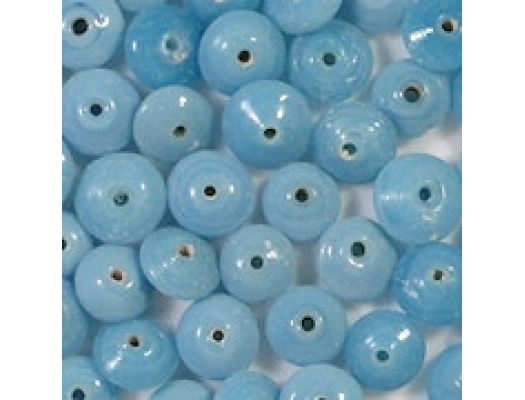 I have also noticed that most of the beads look dirty inside the holes, but that won't matter once the beads are strung. How photographed: Under two daylight-balanced lamps. The close-up shots may show defects that the human eye can't discern. Comments: These beads are from my 1980's stash (when I was making jewelry myself). They are rustic beads and will look best in informal jewelry.